The first three solutions try to fix the problem through brute force, attempting to increase elevator capacity or capability in a single stroke. The next three start to get a little more creative, attempting to cut down on demand or increase the efficiency of the elevator set-up, but they still approach the problem as one of insufficient elevator space to meet the demands of all the workers wanting to use them. 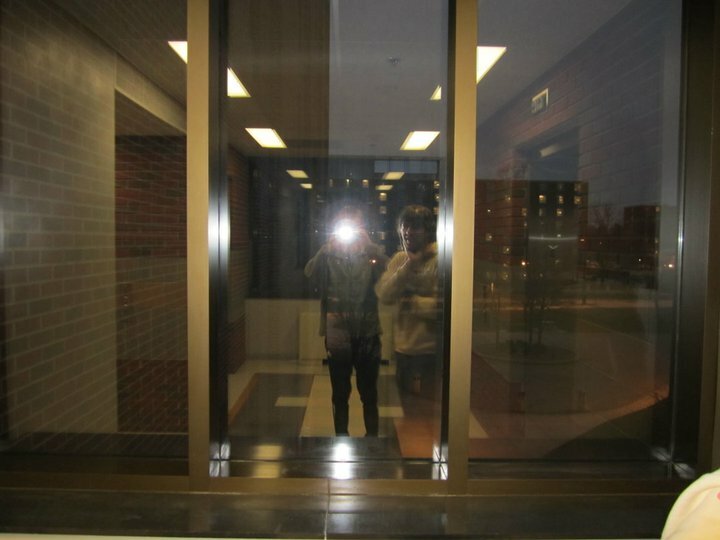 The mirror response shifts the focus away from the use of elevators entirely and instead explores the experience of human beings as they navigate through the building. We don’t always need to move more quickly. If we experience each moment as meaningful, then the pace of our actions becomes insignificant and the idea of “waiting” vanishes altogether. The pain of waiting is, after all, immensely amplified by boredom and impatience. Mirrors help distract us from our own propensities for frustration. So What Do Mirrors Have to Do with Traffic? Earlier this week I came across a fantastic article by streets.mn about the importance that just a 10 m.p.h. reduction in speeds can make for the lives of pedestrians. This slowing is shown to lead to significant reductions in pedestrian injuries and deaths in the cases of collisions, but it has profound implications for the everyday lives of people and the vitality of places as well. This point about increased vitality (not to mention improved traffic flow) was punctuated by the following video which documents some drastic changes in the town of Poynton, UK. Look. I’ve seen roundabouts before. My wife is from Carmel, Indiana, so I’ve even driven on quadruple roundabouts. This video, however, blew me away. Yes, the prevention of accidents and slashing of commute-times were impressive, but I was profoundly struck by the simplicity of the environment the folks in Poynton have created. It seems crazy in our world of traffic over-engineering, over-regulation, and over-optimization (with apologies to my civil engineering friends), but Poynton’s intersection doesn’t really do anything. Sure, it provides some boundaries, but there aren’t even curbs, so the boundaries are more mental than physical. All the intersection does is slow people down to speeds where they can, well, be people (you know, those same plucky homo sapiens who are capable of things like walking in crowds and motorbiking through Southeast Asia). In many respects the problem of traffic intersections is very similar to that of elevators. How many times have you or I waited impatiently at a red light or built up anger over the driver in front of us who wouldn’t pull out when he (because the faceless driver is always a “he”) had that gap? How many times have we driven a route on auto-pilot? On the other side of the coin, how many times have we thought about the lives and the stories of the people we interact with as we strive to exercise our will on the world in our driving machines? How often do we actually engage with people walking or fellow drivers? What the Poynton intersection and the mirror response have in common is that they treat visitors as people. They ask, “How can this space engage with you?” rather than “How many units of humans can we move?” Where a typical traffic solution might strive to widen the road, increase the speed limit, or make traffic light timing more efficient, the Poynton intersection amplifies the experience of people as they move through the space. But here’s where the similarities end: where a mirror-like response to traffic problems might try to distract waiting drivers with televisions or entertainment, Poynton takes it one elegant step further. Instead of just helping people to interact with the space, the space calls people into interaction with each other. It does require slowness, but it largely scraps regulation and turns the space into a commons, where countless positive interactions improve the experience of the whole. Perhaps most importantly, it engenders trust and agency to drivers who were formerly just bits in a machine. It is in this space of mutual engagement and trust that life flourishes, and Poynton has experienced that firsthand. ← The Poverty Problem: Concentration of Gentrification?